Sambal is a part of Indonesian cuisine. That’s why there are different kind of Sambal. Every regions have their own way to make a tasty sambal. 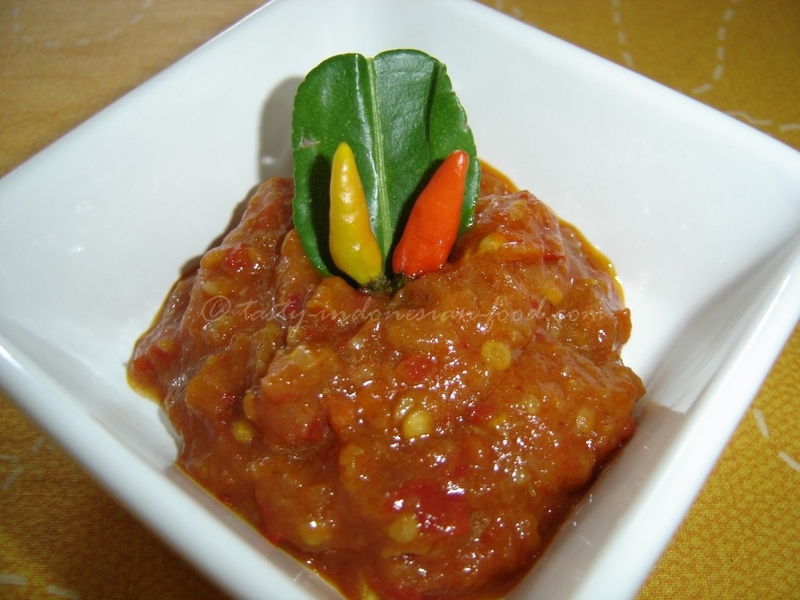 Sambal Bajak is a common chilli sambal that mostly find across the country, especially in Java. Here’s the recipe. 1. Combine first seven ingredients and grind or blend finely. 2. Heat oil and saute ground ingredients together with salam leafs, lemon grass and galangal, stirring until the mixture changes colour. Add tamarind juice and simmer for another minute, then leave to cool. 3. Remove salam leafs, lemon grass and galangal before serving. 4. It can stay for 3-4 days, longer if you store in refrigerator.